Unfortunately, policies intended to bring back marriage have not been very effective. As my colleague Ron Haskins has written elsewhere, rigorous evaluations of the marriage education programs of the 2000s show little or no effect of these policy interventions on family stability and marriage rates. Village Builders are resigned to the new reality of declining marriage rates and think that the best response is to provide single parent families with more assistance in the difficult job of raising children on their own — more child care, health care, earnings supplements or a higher minimum wage, for example. The question, in the end, is how far we should go as a society in taking collective responsibility for the raising of children. 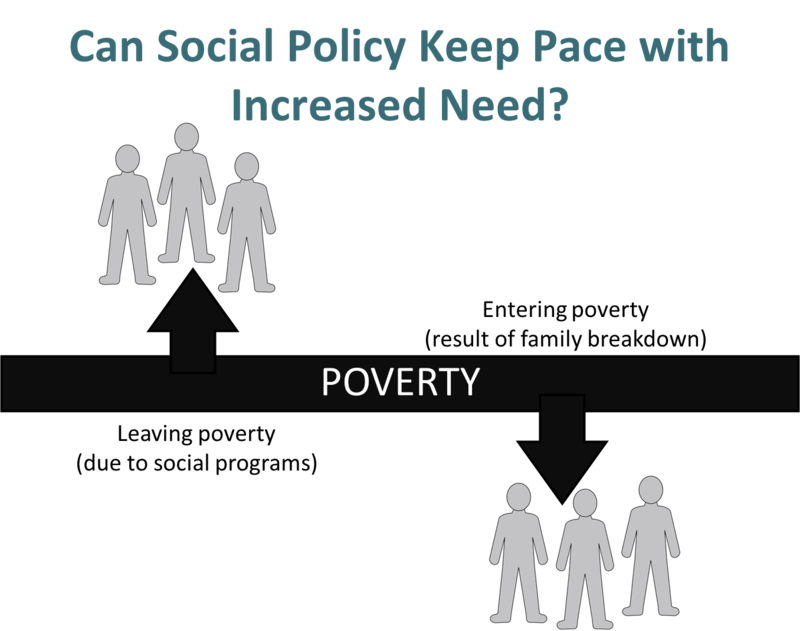 Although I do not disagree entirely with either the traditionalists or the village builders, the evidence does not make me optimistic that either approach will re-stabilize families in ways that improve children’s prospects any time soon. The institution of marriage is on the decline – not just in the United States but in most advanced countries—and I doubt that our current policy “solutions” will be enough to bring marriage back. In Monday’s blog post, I will describe a third solution to changing dynamics: changing the default from childbearing by chance to childbearing by design.